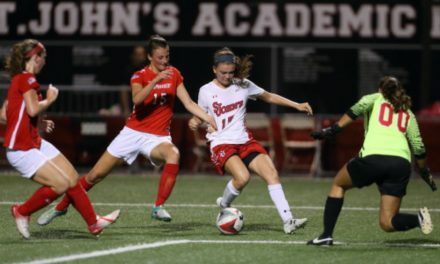 CINCINNATI — The St. John’s University men scored first, but could not hold onto the lead and settled for a 1-1 Big East draw with unbeaten Xavier University at the XU Soccer Complex Friday night. Skage Simonsen registered the Red Storm’s lone goal, scoring in the 11th minute off a pass from Matt Forster. The tally marked Simonsen’s third of the year while Forster’s assist increased his team-leading point total to 10. Xavier (3-0-4, 1-0-1) knotted the game at 1-1 in the 44th minute, drawing a penalty kick on Jack Shearer handball just inside the 18-yard box. Goalkeeper Lenny Wilson saved the initial attempt by Simen Hestnes, but the rebound fell to a waiting Tomek Pauer, who stuffed it home. Wilson put forth another solid effort for St. John’s (4-3-1, 1-0-1), making four saves. 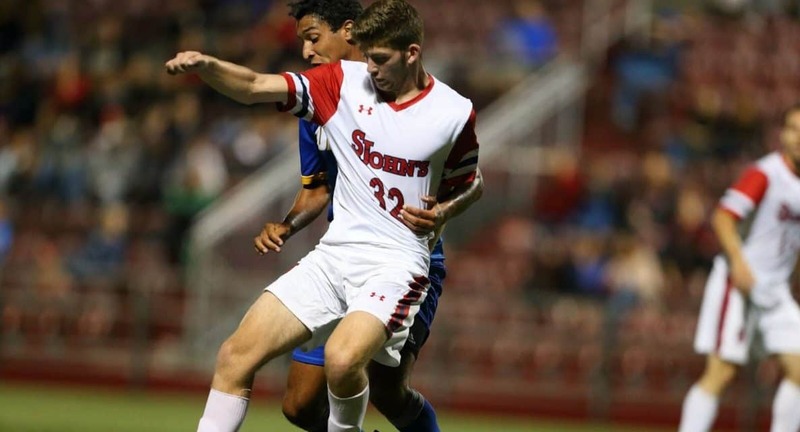 The Red Storm hosts to Mount St. Mary’s at Belson Stadium Tuesday at 7 p.m.